The Unitron Moxi All-Rechargeable Pro hearing aid is the premium level technology of the range with the latest hearing platform that creates the best conversation experiences for the wearers. 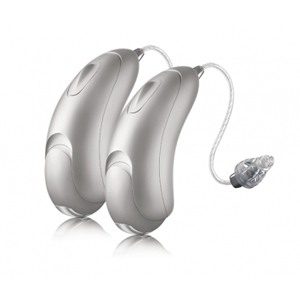 The Moxi All R hearing device uses a specialised Unitron battery door with silver-zinc rechargeable power cell together with the charging case to power up the device for whole day use. The device is a made for all phone hearing aids that connect to iPhones and Android mobile phones via Bluetooth technology.